The Red Necked Grebe is a migritory bird. breeding grounds (shown in red on the migration map). 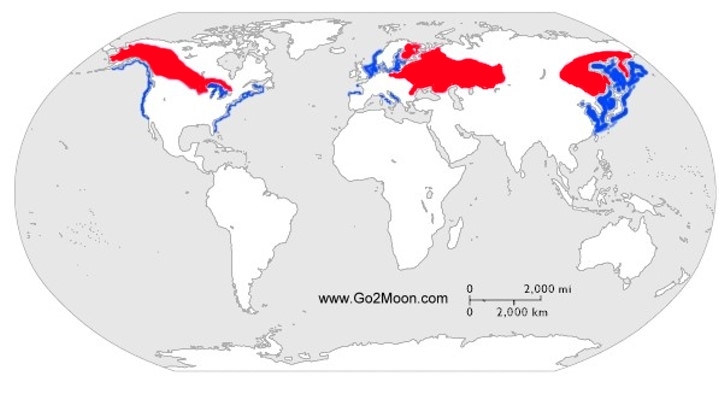 the coastal regions where they spend the Winter (blue).